Some things are just built and designed better! I purchased this nailer from Amazon to lay 3/4" hardwood flooring in several rooms in my house. I have since fired about 5000 staples through it without any problems whatsoever. This stapler is very well designed ergonomically and mechanically. The mallet is big and somewhat massive in weight but there is a purpose in that. It takes very little effort and just a slight tap to drive a staple because it is pneumatic. So if a board lays nice and straight, then a slight tap will suffice, but if you have a somewhat uncooperative piece of flooring, then you will appreciate the heft of the mallet because it will cause the most finicky of boards to come together and lay tightly. The handle is long and fits well in your hand. Consequently your not bent over as much. My first floor laid was oak and I've started my second which is brazillian cherry. This wood is extremely heavy and dense. This stapler does not care how hard the wood is, it just works and flawlessly at that. After all isn't that what you want from a tool, flawless performance! 1) The tool makes it very easy for a novice to put down a nice, tight hardwood floor. If the boards are laying tight an easy swing of the mallet is all it takes to fully seat a staple (more on this later). If the board is warped the MIIIFS can stand up to a solid mallet smack without any trouble. The mallet's plastic face, by the way, does not show any signs of cracking so far. 2) The stapler efficiently uses the its air so you do not need a big compressor. I have been using a 1.5 hp unit with a 6 gallon tank. Output is set at 85 psi. I doubt such a small compressor could supply two nailers simultaneously, but it handles one quite nicely. 3) The stapler did develop a small air leak near the top shortly after I began using it. The amount of leaking is small (based on psi drop at the compressor) but does make a distracting noise. This leak does not affect the function or reliability. 4) At your starting wall you need to face nail the flooring until you get about 6 inches from the wall. After that you'll have enough room to get the stapler into position. 5) As you approach the far wall the stapler can be used up to the last 13 or 14 inches. 6) As mentioned earlier the tool only requires an easy mallet smack. However, if you don't swing firmly enough the staple will not seat fully. This is usually caused by crowding against the far wall and not having enough room to swing the mallet. 7) The firing knob is too stiff to actuate by hand reliably - the mallet is required. It would have been nice if there was a way to trigger the stapler by hand then you could use it much closer to the far wall. 8) I have not had any problems with jamming. The unit I've been using has reliably shot every staple right down to the very last one in the magazine. 9) I have heard some rumors of staple-style flooring nailers damaging the floor's tongue. After closely examining several hundred staples in oak I'd say that about 2 or 3 percent show any signs of tongue damage. Some of this infrequent damage is due to stapling through a knot or due to handling. Some is due to the MIIIFS. I'm not sure how this compares to nail-style nailers. Anytime you send a fastener through kiln dried hardwood you're bound to have some occassional splitting. Would I buy the MIIIFS again? You bet I would. Despite its few minor shortcomings this tool has saved me a LOT of work and the price is lower than other pnuematic nailers that I've looked at. The cadillac of flooring staplers! Anyone can put down hardwood flooring like a pro with this one. Would have liked to had a case included, instead of the cardboard box it came in. I guess that doesn't affect the performace, although protecting the stapler could prevent problems down the road. well thought out design with nice balance and a great depth of drive adjustment.plenty of power.to bad it jams so much using sheathing nails.I have owned the gun for over a year, sent it back to the manufacture because of jamming problems and they installed a new magazine. didn't help,recoil causes back nail strip to jam on front strip and won't let nails feed properly.some brands of nails work better than others, but still very frustrating. This is the third framing nailer I have owned and the best. Its high power and light weight make it a pleasure to use. The push button depth control for setting nails is great and there are no tools or line pressure adjustments needed. It set the nails from flush to deeply buried - even in some very hard old pine I tested it on. Mine came with both the sequential trip and contact triggers. I like the sequential trip trigger as it allows for more accurate nail placement without the risk of double firing. Bostitch says it takes only 21 degree nails, however my local supplier only had 20 degree nails and they worked perfectly. 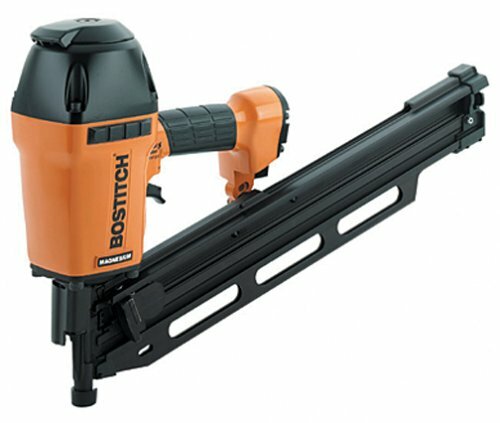 I would highly recommend this nail gun. 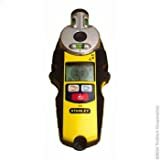 THIS IS AN EXCELLENT FRAMING TOOL I HAVE OWNED A FEW OTHERS AND THIS ONE OUT DRIVES,WEIGHS LESS, AND WAS COMPETITIVELY PRICED. (ALTHOUGH I BOUT MINE FOR LESS THAN YOUR PRICE AT MY LOCAL LUMBER YARD} GO BOSTITCH!!!!!!!!! I've been a pro for 25 years and have used many framing nailers and this is the best I have ever used/owned. Read the recent "Fine Home Builders (Taunten Press)" review on this gun, it hit the top of the list along with the Max. Built half of my garage framing with this gun so far. Used nails available at Home Depot. 31/4"... No jams. The compressor was set for about 90 psi and had 75 feet of hose. No tools needed to use this gun, the depth setting is easily changed. When set for max. the nails went just below the surface; set for min. the head was about 1/2 inch above the surface, useful for temporary bracing etc. Why would anyone want the palm nail thing? Might as well use a hammer. But with this gun you only need a hammer for pulling nails. I could not rate it less than 5 stars. I've used this nailer on several framing projects and have not been disapointed. It's compact design allows easy access to most tight places. Coil load averages about 300 nails so I spend more time shooting than loading. Loading is easy and rarely have had a jam. It's a little heavier due to the coil load but the advantages out weigh the weight. Can be set up for contact nailing which speeds things along. Nailer has crowned head that can grab wood for toe nailing. At 100 psi this nailer drives the nails with about 1/8" countersink. You can find coils at most hardware retailers. Nails are reasonable priced. Great product. Reliable and durable. + I've never had a jam with this gun. + The coil feed is great, you almost never have to load and you don't have to carry around extra nails like you do with a stick feed. + The weight isn't a problem at all, I don't even notice it with a full coil of nails. It doesn't seem any heavier than my PC Finish Nailer. When I first got this gun I had a lot of double and triple shots but I solved that when I replaced the trigger with the much safer and easier to use sequential trigger -- included and easy to install. I highly recommend replacing the trigger... don't know why it comes with the bump trigger installed by default. With this, my first framing nailer, I scratched my head a few times getting the tool ready to use. It wasn't immediately obvious where the air hose connected; there's a recessed red plastic cap at the end of the handle, and an arrow pointing to it labeled "OIL". Pry this cap out with your fingernails, buy a 1/4" male NPT plug (to fit your air hose connector) and some Teflon tape, and screw the plug into the end of the nailer. The N80CB comes equipped with a black contact trip trigger. A contact trigger will fire every time the safety shoe around the business end of the tool is depressed as long as the trigger is down. The loaded nailer is over 10 pounds so its weight tends to drop it down onto the nailing surface right after the recoil bumps it up -- frequently leading to two or three nails driven. I decided I'd prefer the silver-gray sequential trip trigger, included in a plastic bag. You need a hammer and the included punch to drive out the trigger pivot pin, and to drive the pin back when you install the other trigger. The trigger moves back with no pressure when installed; you'll feel very slight trigger resistance, however, when the safety shoe is depressed. The nail loading procedure is made needlessly mysterious by the tiny drawings (.8 square inches each) illustrating the first four steps of the operation. If a normal picture is worth a thousand words, these are worth maybe 42. So I'll add a few more to help. Position the tool with the firing end at the lower left, with the "!WARNING:" label on the cyclindrical nail can oriented for reading. The loading latch is midway between this label and the business (firing) axis of the tool. There's a flat fingertip-sized metal shelf at the top of the latch. Press this down (that is, in the direction the nails fire) and swing the loading door open toward you and to the left. Grab the plastic part that has the "!WARNING:" label, and swing the top cover of the nail can open toward you and to the right. There's a buckle clamp holding the bottom of the nail can in place. Using your right hand reach below the hinge of the top cover and follow the curve of the lower can around toward its far side. Your index finger will be on the buckle latch lever. Pull the lever toward you until the latch springs open, then move the near part of the buckle clamp off the ridge at the right side of the lower can. Get a couple of fingers behind this clamping ridge and pull toward you. The bottom section of the can will pop out of the grooves it's nested into on the fixed side of the can. Reinsert the bottom section of the can so that the far side rectangular cutout ("window") underlines the correct nail length embossed in the black plastic of the fixed side of the can. Mark this position some way other than by using the measurement cutout (I used a felt-tip pen until I got used to the sizes) as you won't be able to see the markings when the can is full of nails. Remove the can again and fill it with nails. With the B & C Eagle nails at 3-1/4" I had to unwind the full 200 nail coil and rewind it to fit smoothly around the spindle. (If you have to re-coil your nails make sure the 15 degree slant puts the point forward of the head as the nail coil exits the can.) Reinsert the can at the appropriate position and reattach the buckle clamp. Pull enough of the coil from the can to get the lead nail into the business axis of the gun, and the nail immediately behind it between the teeth of the feed pawl. Make sure the nail heads are all in the feed groove provided for them. Swing the top cover of the nail can closed from the right, and the loading door closed from the left. Push firmly until the door locks into place. With your new 1/4" NPT plug in place on the nailer, attach it to your air hose's quick connector. Now you're ready to get to work! How does the N80CB work? Very well! After using my gentle finish nailer I admit I was surprised to see sparks fly each time one of the heavy framing nails was hammered home. My only difficulty: finding a local source of nails in Silicon Valley. Luckily the B & C Eagle nails available from Amazon worked like a champ (after recoiling). No jams; no problems at all. The N80CB does not come with a depth of drive adjustment. There's a fairly expensive add-on unit you can buy. You can also get an approximation of drive depth adjustment by fiddling with the air pressure within the 70-100 PSI range. Based on only framing with 2-1/2" and 3-1/4" nails, you should set the pressure based on the nail size (100 PSI for the bigger nails) and leave it alone. Finally, I found the packaging pretty meager. This is a bulky, heavy tool, and the packaging is just a box containing a cardboard sheet with cutouts designed to cradle the nailer. My unit ended up ripping the cardboard cutout sheet as its weight was thrown about by the UPS shippers. Luckily the tool itself was rugged enough to survive. 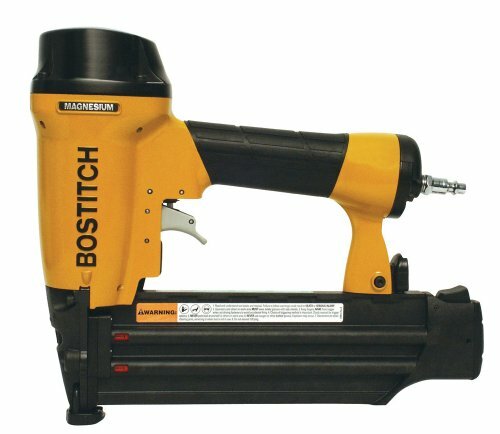 I recently purchased this Bostitch coil framing nailer. It is the best nailer i have ever used. It has very little recoil, but yet a great amount of power. Some people are sceptical on buying the coil nailers because of weight issues and jamming issues, but i have had NO jams and the weight is about the same as a loaded stick nailer, even when the coil nailer has a full coil of nails. I have a Bostitch stick framing nailer also, which i am very pleased with as well. 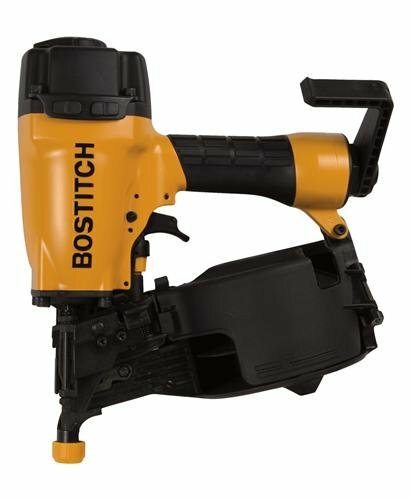 I also own an assortment of various types of finish nailers also made by Bostitch. I am very pleased with all of them. 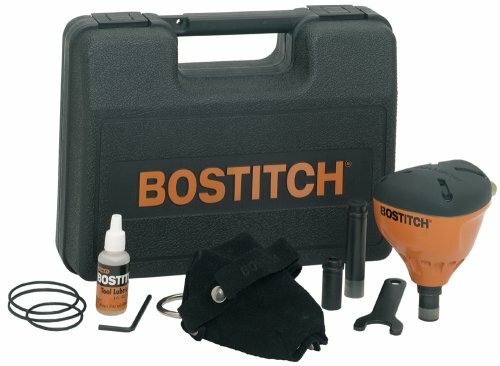 For many reasons especially the ease of using Bostitch fastners because every store I visit has bostitch nails. Overall i am extremely pleased with this coil framing nailer, and any Bostitch product for that matter. 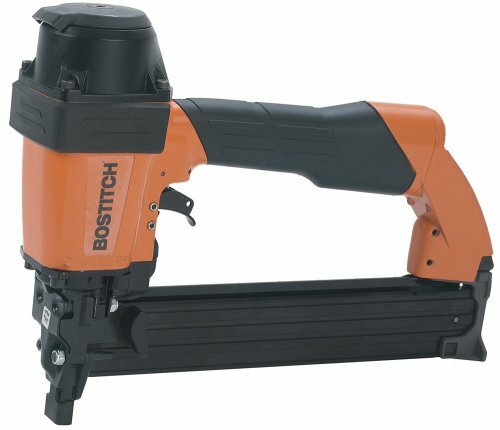 I would strongly recomend it to anyone looking for a good nailer. I bought this nailer to speed the building of a 12x16 shed by myself. It paid for itself on that project alone and worth every cent. 1. More nailing, less reloading(like I said). 2. Great size for tight spaces. 3. Great balance even fully loaded. 5. TOUGH, dropped on a six foot ladder, picked it up and got back to work without pause. 1. Can only toenail from left side in REALLY tight spaces due to the feed mechanism on right side(not that big an issue). Drives both wire weld and plastic collated coil nails from 1-1/4" to 2-1/2"
I had the opportunity to use both this tool and the Porta Nailer manual floor nailer during a recent job. Both tools were new, both were solidly constructed and of good quality. 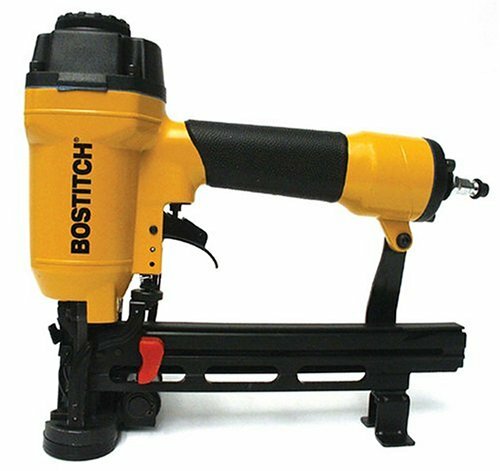 The Bostich proved far superior to the Porta Nailer due primarily to the ratcheting feature on the Porta Nailer. This does not fuction well and is a poor design. The Porta nailer would leave cleats half driven or fail to release the cleat from the nailer after the cleat was fully driven. On the Porta Nailer side of the job we spent alot of time on our knees with a nail set trying to set cleats. We were forced to pull up a few planks becasue the cleats could not be set or removed. 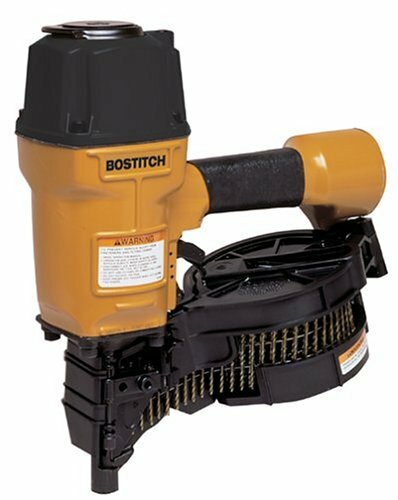 Eventually it was faster to just use the Bostich than waste man hours with the Porta Nailer. POSTSCRIPT _ It's a great value for the money - over ten big jobs without a hitch. I bought this based on reviews at amazon.com. Overall, I really like the nailer. It takes a little getting used to and you have to hit the striking button very square. I also like that it drives slightly bowed planks firmly into place which eliminates the need for clamping. The biggest problem I've had is finding nails. Amazon.com is the only place I've been able to purchase them. None of the big hardware superstores in my area carry them (4 different companies), nor any of the lumber yards, hardware stores, etc.. So, Plan ahead and buy plenty of nails online and don't wait until the last minute to restock. I'm in the middle of putting down over 2000 square feet of 3/4 inch hardwood and am very please with this tool's performance. If I had to do it all over again, I'd still buy this nailer. Absolutely a must have for do-it-yourselfers. Getting critical measurements by yourself can be a chore if you need to reach a long way. I recently did some remodeling in my kitchen, and this fat baby was indespensible. The top hook feature was a great addition as well. I was able to reach out much further than with any other tape I have used before. As an added bonus, the rugged construction of the fat max holds up to the most severe jobsite abuse. I've had mine since they first hit the stores around October of last year, and it has held up just fine through every rainy day, early morning concrete pour, and sling-the-tape-against-a-concrete-wall temper tantrum. (Nobody's perfect) One small drawback: the 1-1/4" width creates quite a curvature from the top to the bottom of the tape, making short measurements a bit of a trick. You have to take care to hold the tape at an angle so as to put either the top or the bottom of the tape flat against the work surface. This is a minor consideration though, and doesn't detract from it's overall function or usefulness. 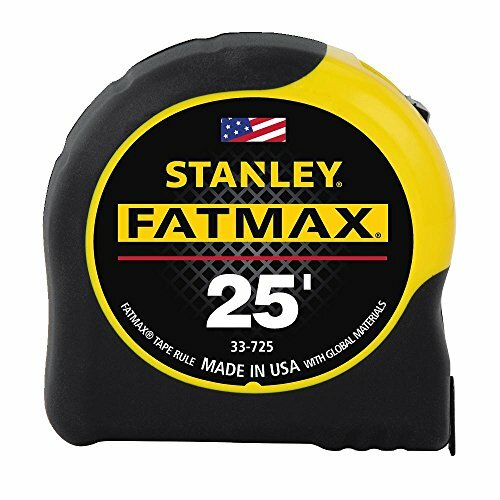 The Fat Max 25' Tape not only reaches a good distance, it has a great feel and well balanced. 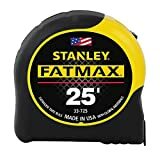 I've been buying the same Stanley 25' Tape for the last 12 years, trying others and not liking them. This one beats them all. I've also had alot of positive feedback from co-workers borrowing it. I didn't think I would find one, but it's my new favorite tape measure. Not to belabor the point, but the tape is great! If you are looking for a tape with a great standout, (11 feet I think is a bit of an exageration, maybe up on Mt. Everest where the air doesn't weigh as much) easy to read tape, and good heft in your hand then this is it. Here comes the but... if you are going to be measuring things where 1/16th of an inch makes a difference, the wide tape that's easy to read makes it tough to get it perfect. So here is the recommendation, if you are only getting one, and you are only doing framing, sheetrock, rough measuring you've got your man. 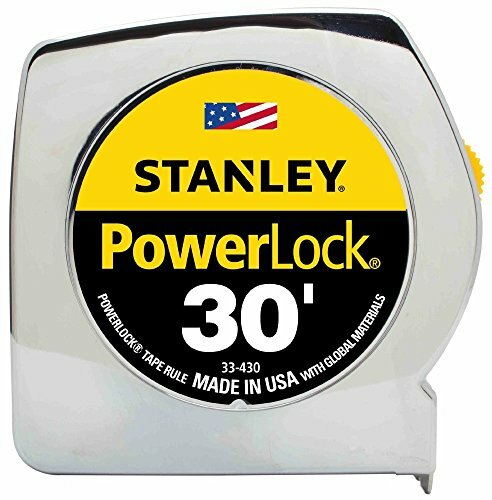 If you are going to be doing finish work, trim, etc spend a little less and get the Stanely 33-599 25' contractor grade tape. Easier to get the last nit measured. This tape takes top honors. This tape is just the right feel in your hand and its wide blade makes it a winner. Once you buy one, you'll never go back to the flimsy little ten dollar tapes of the past. I am a carpenter and even at 25 bucks per tape which i payed when they were introduced I still think they are worth every single penny. I have just begun a 2000 sq. ft. addition on my home. 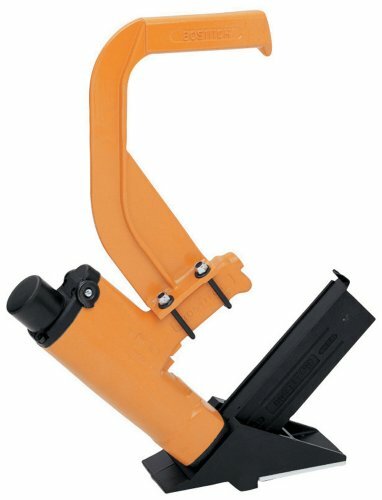 This nailer is the perfect tool for nailing all the joist hangers. I have a lot of engineered lumber in my design and trying to drive a nail by hand into a microlam beam is very difficult. I have framing nailers but they are too big to get in between the rafters at times. The tool has a good feel and weight. Very comfortable. I drove over 200 nails the first day I used it and it never malfuctioned once. The glove keeps the tool where it needs to be and there is very limited recoil so it doesn't bother your hand at all. I would recomend this nailer to anyone who does even the smallest amount of construction or home inprovement. In fact I have a second one on order for a Christmas gift for my 68 year old father who fell in love with it the first time he used it. I recently retired and have undertaken a project to build a woodworking shop-garage. Swinging a hammer has become a very tiresome chore, and I was considering the purchase of a framing nailer. Upon reviewing information from various manufacturers, I realized that a framing nailer is a very specialized tool. 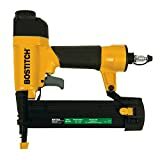 I have used this tool to build cabinets, my latest job a complete kitchen (made of hickory) using the hardest wood known to man, and it drives great using 120 PSI. 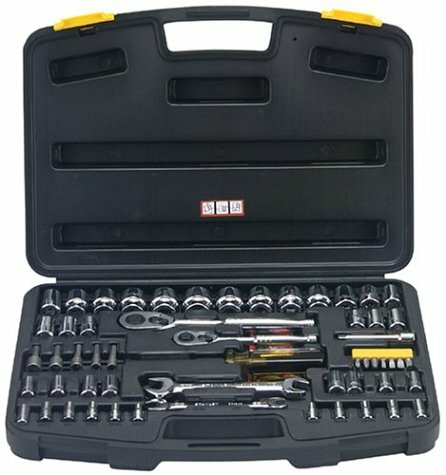 The tool has not blown seals or given me any problems. The key to success is maintenance. There are always a few bad apples in the basket, this must be what these other folks are talking about. The only place that you see tool marks are in crown molding that fills very easy and invisible unless I point them out. Too bad there's not 6 stars that I can give. It works fine for me and saves space and money. This tool does leave an indentation the size of a staple when you drive brads but I'm not that picky when I'm asking a tool to do double duty. If I was doing fine cabinetry and driving brads where they would be highly visible I would buy a brad nailer. I haven't had any problems and have loved using it. As for the other reviews about not going into pine I would say they should buy a real air compressor or at least turn up the pressure-it will go as deep as I want them to. Not a woodworkers tool is right !!! Use for: all trim/finish applications, cabinets, wood-working, staircases, arts & crafts, etc. Massive new bumper designed for increased hook life. 1-1/4" wide blade (25% wider) for more durability, easier to read graphics, stronger stiffer blade during use. 11 foot of blade stand out, the longest in the industry. Dual material ergonomic case. Small comfort grip, smaller than most 25' tapes. Exclusive cushion grip built into the case for comfortable non-slip grip and impact resistance. I like the Fat Max 25. I like the Fat Max 30 even more. And why not ? There's more to like. Either way you have the beefiest tape on the market. No other tape even comes close to the rigidity of these bad boys. I love standing in the middle of a room and being able to measure from wall to wall without laying it on the floor or getting assistance from somebody else. I love being on a ladder mesuring fascia boards from a point 10 feet+ away and my tape doesn't crack. It works better in the wind. It allows measuring higher above than ever before. It positively will win any tape fight anywhere any time. If you wear it on your pocket , just beware of carpenters crack! These little beauties are pretty heavy. I really liked the Fat Max 30' tape. However, Stanley does not make replacement blades for it. My Fat Max is a little less than a year old and has developed a hole at about the 11 foot point. Because no replacement blades are available, the cost for replacing it with a new one is too high. 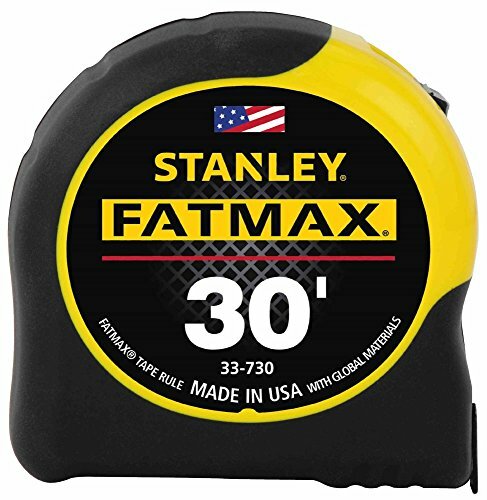 Too bad Stanley doesn't stand behind the fat max with replacement blades like they do with some of their other less sturdy tapes. My new stanley fatmax is advertised to stand out to 11 feet. Ha HA mine may make it to 9 feet 6 inches.and Stanley won't even respond to my e-mails. I've gone thru three in one year. I'm a builder so that is slightly above average for my use. But I do keep buying them. My major gripe is that none of them really stay hooked very well when moving. Also they will slice through your finger in a flash if you're used to finger braking. (too fast retract) It is also tempermental in retracting if used past 15ft. I've seen 'em live & die from second floor to concrete. BUT....it does have a fantastic standout. Good, but buy it on sale. This is a wonderful tape measure that will really take abuse. I love the 11' stand out. I agree with the point that others have made that the return and be a bit fast, I've gotten small cuts and bruises or blood blisters on my pointer finger a few times when I've gotten it pinched and it returns. But I've learned to keep it from returing so fast (just tip it so the blade is aimed down as it get to the last few feet). It isn't a cheap tape, but then again it isn't built like one either . . . . This heavy hot-melt glue-gun user was thrilled when she opened her new Stanley GR-100 christmas gift anticipating it would vastly improve her speed and gluing finesse; alas, the trigger on it is a great deal tougher to pull than my .38 (no mean feat - perhaps manufacturer wants you to carefully reflect upon the consequences of wanton gluing . . . )!!!! rendering it impossible for me to use at all! Gifter purchased it from off-beaten-track store and we never had time to exchange or get $$$ back for - save yourself a lousy experience and buy something else from someone easy to return to (as is in my experience Amazon[.com]). GREAT GUN WITH ONE BIG PROBLEM - LIKE MOST GLUE GUNS IT TAKES FOREVER TO HEAT UP TO WORKING TEMP. BUT UNLIKE MOST GUNS THIS ONE HAS A UNUSED TIME SAFETY SHUTOFF FEATURE. SOOOO - IF YOU DON'T GET BACK TO YOU R GUN FAST ENOUGH YOU HAVE TO START THE PROCESS ALL OVER AGAIN. I'm happy with everything but the price. and just buy one already. I got sick of running to my parents' garage or my landlord's shed to fetch a tape rule for any job a yard stick couldn't handle. This was the best buy for quality and price. I am quite destructive with tools, and yet, have not managed to damage this one so far (1 yr of frequent use). The tape is also very easy to use -- just this weekend I was measuring my apartment rooms by myself and marveled at how manageable the tape is, even when controlled by one person from across the room. The cheaper brands I've owned have been far too flimsy to do so at all. Stanley's is a name that I know to be of good quality. I have used mine for years and has held up exceptionally well, however it is time to replace it. I live in the southeast and it is starting to rust. 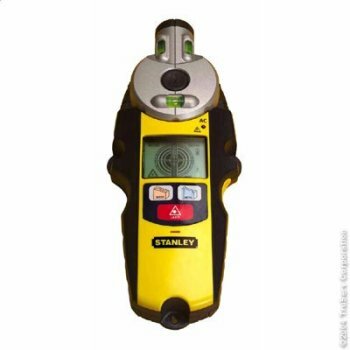 Stanley tools will always be held in high regard.If you look after this equipment it give good service for years. This is a solidly built block plane that will give you years of service once you spend a little time and tune it up right. Nearly every plane made requires some fine adjustment out of the box so that should not be considered a negative when purchasing this item. The cap iron may need a little lapping at the front bottom to fit smoothly against the plane iron. The blade comes with a serviceable factory edge but I honed mine nonetheless. Check the blade for flatness and lap the back if necessary. The bottom of the plane should be checked for flat and the sides for square before you commit to using this on your finer projects. Again, most planes need this kind of tuneup as they come out of the box. The only fault I have with this plane is that the rear adjustment screw has a bit too much free play (a sixteenth of an inch) between the adjustment screw collar and the blade adjustment. I fixed that by disassembling the mechanism and fitting a brass shim around it. Plane insane if you don't have one! I held off buying a plane for a long time. How foolish! This little plane has saved me lots of sandpaper, and it's really fun to use. I shaved the high spots off of some old drawers that I had to install some slides on, and took some layers of paint off the edges of some old cabinet doors. The old paint was really tough to get off the bottom of the plane, since I didn't have any solvent. I finally tried spraying a little carburetor cleaner on it and it came off pretty easily. If you haven't used a plane before, this is a good one to start with. It takes a bit of practice to adjust it properly, but it's easy to tell when you get it right. I purchased one of these planes a few weeks ago. I was impressed by the smoothness of the moving mechanisms, and the sole appears to be of good quality. The cutting iron was not flat but I guess this is typical. It took some work to get it flat. I don't have a diamond sharpening stone so I was using sandpaper - pretty slow because I didn't want to use a heavy grit to get it down. Using various grades of wet/dry sandpaper I was able to get it nice and sharp. The sole was pretty flat, but it was cupped in the middle just a bit. I lapped it flat as well. While not as critical as other components, the cap iron left much to be desired. I was not at all pleased with the quality here. The edge that meets the cutting iron was not straight. It was all lumpy. I thought maybe it was just thick excess paint, but when I ground it flat with some rough sandpaper I had to go through the paint to the bare metal. It was a terrible casting. It wasn't too hard to make it flat, but I had to take off quite a bit of material before I had solid metal from edge to edge - it was that bad. You might want to open the box and inspect the plane before buying it. It is unbelievable that a so-called quality tool would have such a defect. Having said that, I must say that overall I am pleased with the tool. I knew it was going to take some tuning to make it worth using. It does a great job now. Very handy to have around. Don't expect it to perform well right out of the box. I have had my Stanley low angle block plane for a year now. It is a good plane. It took about one hour to tune up. It is very good for the money. Is it a Bridge City plane? no. However, it is also affordable. This would be the first plane for the woodworker using power tools. A number 4 or 5 plane is very useful also. I was very pleasantly surprised when I received this plane. It's solid, well made, and easy to use. The plane needed some tune-up but nothing exceptional. The blade is tempered and keeps an edge for an acceptable period of time. Adjustments are easy - unlike a previous reviewer, I can retract the blade after use without problem. All-in-all, an excellent plane for the price. This is an example of modern crap! 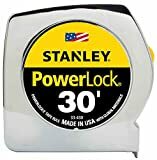 It is the most poorly designed machined hand tool I have ever seen with the name Stanley on it. The excentric cam (it tightens the blade) on my old stanley low slope broke and I thought I'd replace it (knowing I'd never be able to by the part...through it away and replace, we don't "fix" anything any more) I purchased this item. What junk ! I regret owning this. After much filing I can now actually retract the blade for storage and extend it for use without having to take it apart. The adjusting and tightening mechanisms have been redesigned and function lousey. 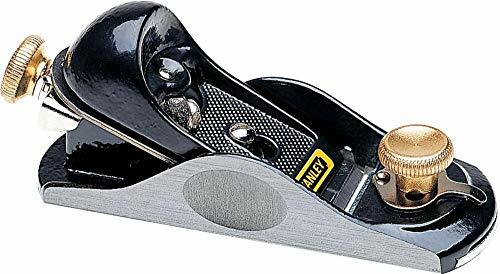 No matter how many power tools you have in your builder's or cabinetmaker's kit, you need a block plane, and the Stanley delivers 90% of the performance of the high-end tools at a fifth of the cost. 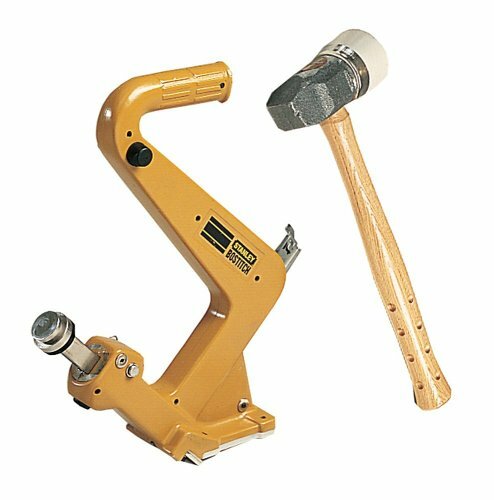 I've used mine for heavy duty work, like triming new window casings flush with walls, as well as for delicate trimming in repairing musical instruments. The bases of the Stanley tools may not be as perfectly flat as those of the expensive Lie Nelsons, but that's easily rectified in short order with some sandpaper and a sheet of glass. 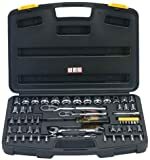 A fine tool at an excellent price.